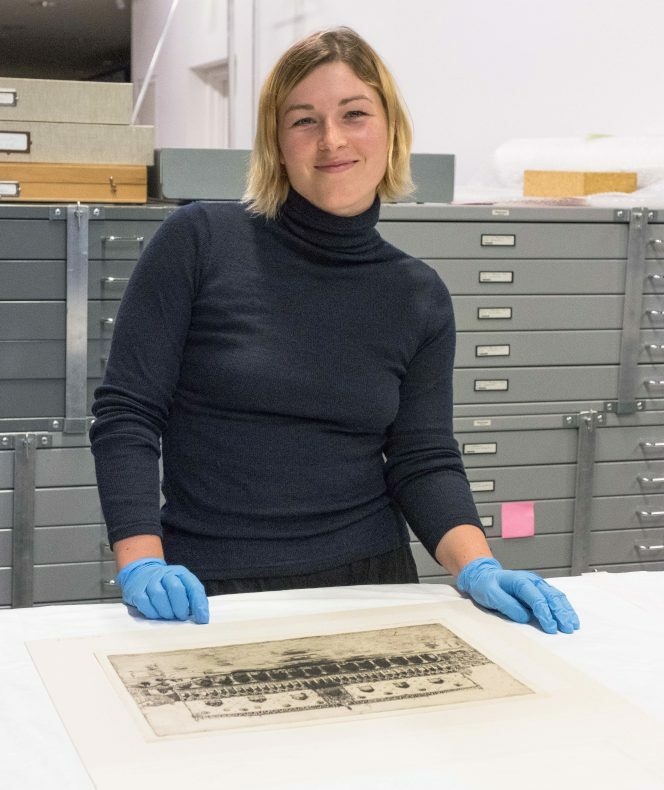 Te Papa Summer Scholar Siobhon Moore shares her experiences researching the heights of the British etching revival in the vast Ilott Collection and the exciting discoveries she has made. My flat has no opening windows. Given the summer that we’ve recently said goodbye to, this is a recipe for melted flatmates and too many USB desk fans. However, instead of falling victim to the humidity, I was lucky enough to spend ten weeks as a Summer Research Scholar at Te Papa. There, I could be found in the blissfully cool – yet arid – climate-controlled works on paper store. 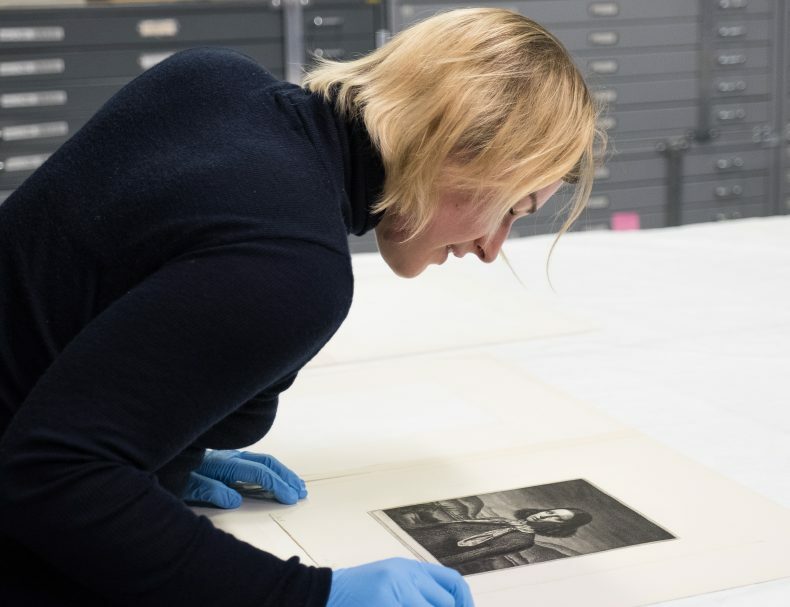 Reading the description of my project, I didn’t think I would get that much contact time with actual art, as my project was to scrutinise, update, and expand Te Papa’s database records of the prints which comprise the Ilott collection. This meant checking details for each work, such as date, medium, and materials, by comparing our own records against equivalents for the same works held in other institutions, updating our information where necessary. While it initially seemed like quite a straightforward task, the Ilott collection is vast, with over 600 works by 179 artists. During my limited time with the prints, there were three characters who really stood out for me, who deserve extracting from the drudgery of what is now often perceived as a peripheral, precious, antipodean obsession with European art, and who show real intensity and diversity of style within the print medium. 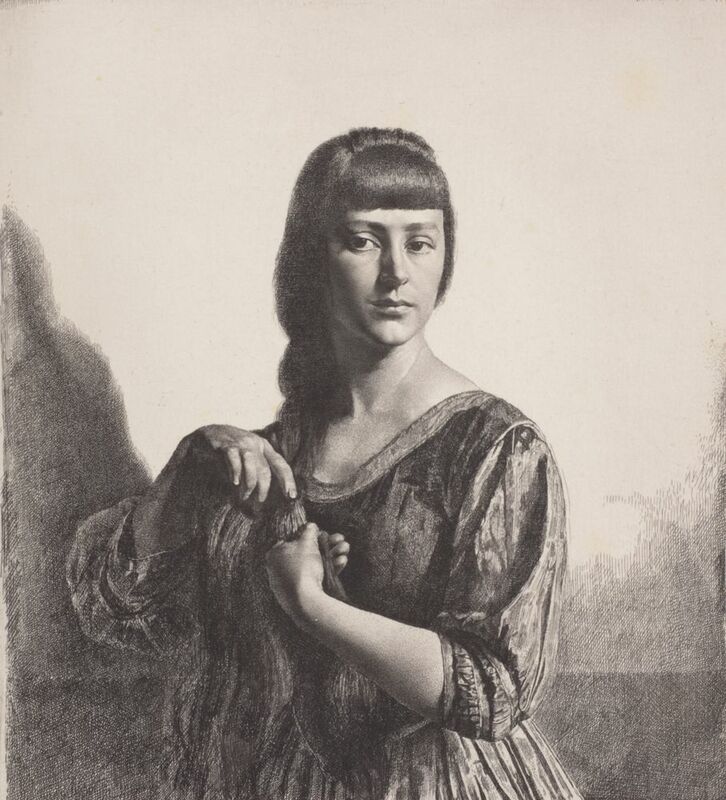 David Young Cameron, Muirhead Bone, and Gerald Leslie Brockhurst were all incredibly deft artists, whose works within the Ilott collection really are rather remarkable. Each man had one work in particular that left me wide-eyed and slack-jawed when I got to see the prints in real life. Cameron was both a successful painter and etcher, whose oeuvre of prints in the Ilott collection was a romantic rhapsody dedicated to the vast landscapes of Scotland, though with small Venetian flings earlier in his career, as well as a pious devotion to dramatic church interiors. 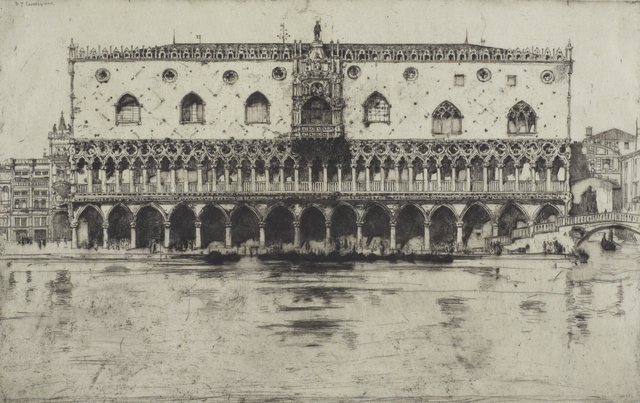 While Cameron and Ilott’s love of the Scottish landscape is reflected in the sheer number of related works in the collection, to me the most captivating print in the flesh was one of Venice. The Doge’s Palace (1902) is an incredibly delicate rendering of the Ducal Palace of Venice, which champions the marvellously intricate Venetian Gothic architecture of the building and which Cameron so diligently conveys. Its intricacy is intensified by atmospheric shadow woven through the arches and reflected on the waterway beneath. It’s a work of art which make you feel as though you could keep drinking in the composition for hours and still find new, hidden passages: you cannot help but feel moved by each individual drypoint line, woven into a complex multitude. One captivating work. Cameron and Bone were both Scotsmen and friendly contemporaries, and although they both depicted architecture, their stylistic approach and subject emphasis was vastly different. While Cameron’s buildings were slowly constructed out of delicate line and complementary, considered shadow, Bone inserted a dynamic fervour and energy to his works through his boldly unapologetic use of line and shade. Bone initially trained as an architect before turning to printmaking and his fascination with the ‘bones’ of buildings is evident in the sheer amount of his works which focus on fabrication and demolition scenes. 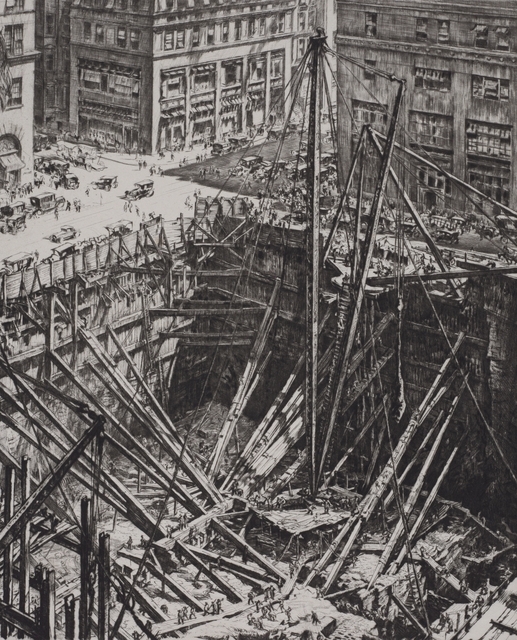 A Manhattan excavation (1923-28) encourages you to push the work away so you can take in the busy scene all at once; but then you want to reach out for your magnifying glass to pore over the details. The print dates from a time when America was rife with construction and industry. Bone seemed to channel this invigorated spirit into his own print. Looking down upon it was an enchanting experience, which left me waiting for a worker to move or for sounds of construction to start pouring out of the print. 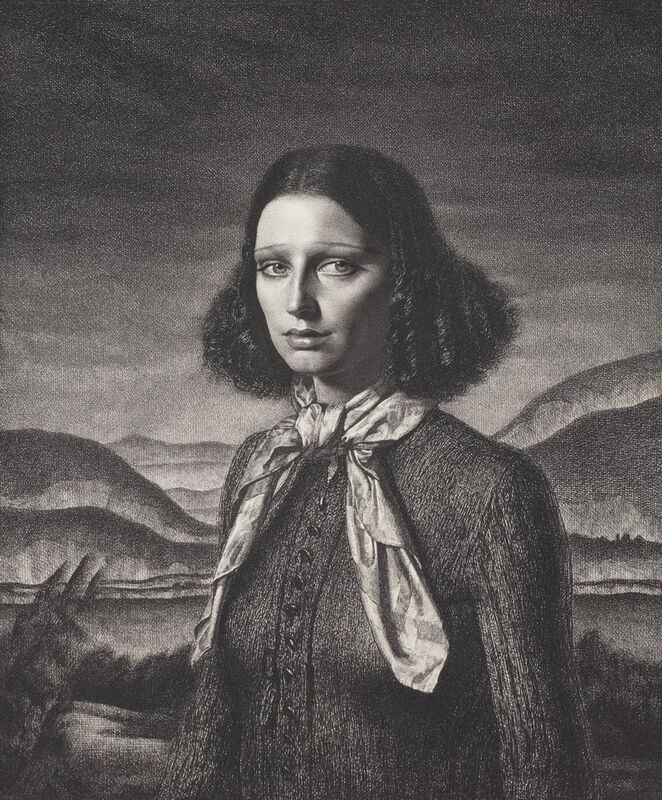 Gerald Brockhurst’s densely rich, evocative portraits were perhaps surprisingly my favourite prints. They usually depict the artist’s first wife Anaïs, in an array of strange and obscure costumes, or else his much younger second wife Dorette, in which he abandons the costumes to dress her in his frankly lustful devotion to her image. Brockhurst delights in pursuing the different textures of drypoint and etching, pushing the medium past its normal boundaries. Although these are unmistakably 20th century artworks, he animates the medium by applying an art historical past to it. Particularly in his later etchings, he deliberately recalls conventions seen in the great portraits of Leonardo and Raphael, such as a receding landscape behind the sitter and a dedication to creating a meticulously completed composition, a characteristic not displayed by many other ‘etching revival’ artists. Brockhurst’s etchings assert themselves unapologetically as more than portraits. They simultaneously challenge and seduce the viewer, particularly in the flesh. Dorette (1932), is the greatest example of this seduction, and when I had the print in front of me, it was the hardest to walk away from: she contains every characteristic of Brockhurst’s vision that makes him stand apart from all others.